Gia On The Move has been following a fair amount of companies who are masters in puppetry from the Broad Stage for Handspring’s, A Midsummer Night’s Dream to Rogue Theater at the Hollywood Fringe Festival. So when we received this announcement yesterday we got really excited! Some of our favorite small theatres in LA will be hosting these events. Very much for adults as well as children you will not want to miss this much fun. LA Puppet Fest 2014, back for its second year, is a city-wide celebration dedicated to sharing and promoting the art of puppetry through performances and workshops. Taking place from April 1 – 13, spanning from Santa Monica, West Los Angeles to West Hollywood and Hollywood, LA Puppet Fest promises to offer entertainment and educational activities with something for everyone. Limited VIP packages with preferred seating and perks are also available. Events range from Free to $25 per person and may have age recommendations. LA Puppet Fest can be found on Facebook at www.Facebook.com/LAPuppetFest and on Twitter @LAPuppetFest. Tuesday, April 1, 7 p.m. – 11 p.m. Opening night party features Red Carpet Arrivals; DJ Eric de la Cruz; performances from Puppet School; Costume Contest with prizes; and a lot more! A fool is mostly defined by “someone that lacks good sense or judgment”, but can also be a person who enjoys something very much. Puppeteers are that kind of fools. Presented by the Los Angeles Guild of Puppetry & Handmade Puppet Dreams, and sponsored by the City of Los Angeles Department of Cultural Affairs. Enjoy an evening of short films featuring puppets of all kinds created by independent artists from throughout the U.S and the World. Screening two collections: one for families and one for a slightly older crowd (12 and up), courtesy of Heather Henson’s Handmade Puppet Dreams, as well as offerings from local puppet filmmakers. Thursday, April 3, 10:30 a.m.
Join Jack Frost, The Snow Queen, Chili Dog, The Balloon Clown, and over 100 of Bob Baker’s whimsical creations as they lead you on a wondrous journey with many a magical stop along the way. Friday, April 4, 8 p.m.
Free or $15 VIP; children of all ages; VIP Ticket includes priority seating, a ‘Design your own chocolate bar” and/or “Create your own Sticky” (traditional hand made yummy), and a signed copy of Sing Along with Leedo and Booey. 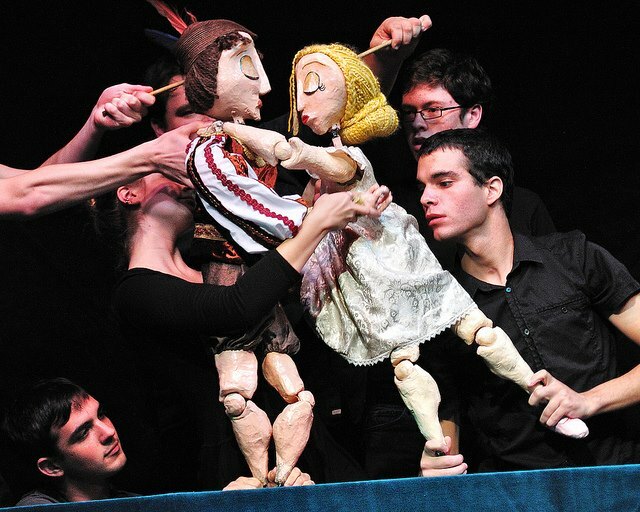 Intriguing Workshops, Roundtable and Masters of Puppetry Live! – You have a brilliant, crazy, furry idea. Trying to fund your project on your own could result in your loved ones only receiving lukewarm hotdog water as birthday presents next year. 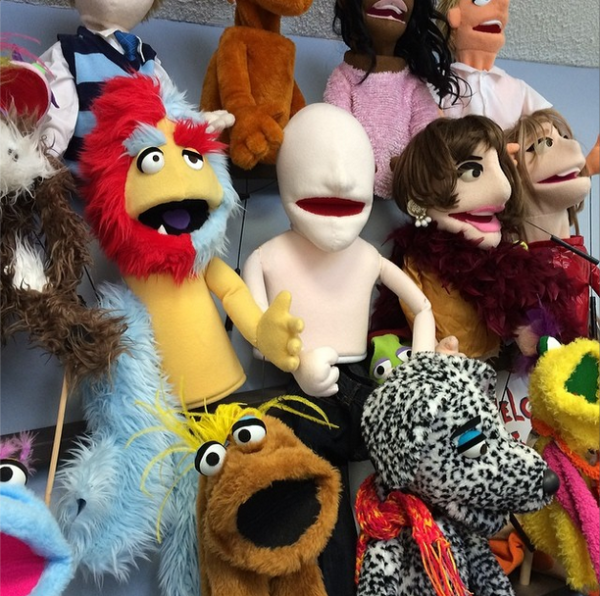 We’ll explore funding solutions that are particularly puppet-friendly. Learn how to build a funding campaign from the ground up, with the very unique world of puppets in mind; how to choose platforms; how to find the people who can help you (they sometimes hide in very odd places). We will look at successful projects and projects that failed and, as a group, try to make sense of the available statistics and metrics to make your project a funding success! Imagination becomes your puppet in Minimalist Puppetry. The Minimalist Puppetry approach is a way to create images, characters, and stories without the help of ready-made puppets, animated designs, or objects adapted for this purpose. Students will discover a new way to see life, images and stories in everyday objects and materials; from two ends of a table cloth falling in love, to the evolution of man told through hula hoops. Additionally, there will be a demonstration of a professionally made story in Minimalist style by Nick Ivanov. Moderator: Eric Lynxwiler. LA Puppet Fest is very excited to put together, for the first time, the most well known puppeteers in Los Angeles in a round table: Bob Baker, Rene Zendejas and Alan Cook. 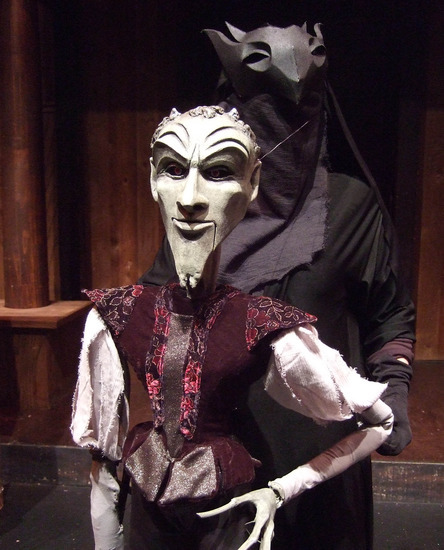 Together, they have more than 200 years in puppetry. These four incredible gentlemen will share memories of their carriers with tons of laughter guaranteed. The three masters and their through-the-years apprentices will entertain you and your family with their puppets. Join them in breaking the record for largest puppet parade in Los Angeles in this 2nd annual public participation parade. Bring your own puppet, buy a puppet at their festival’s table, or make one at the start of the parade route at the free puppet making tables. Then march down the full length of the Promenade. At the end of the parade route there will be a closing ceremony, raffle drawing for prizes and a puppet dance off. Hand puppets, finger puppets, marionettes, monsters, shadow puppets, multi-person puppets — all our welcome to join professional and amateur puppeteers for day filled with color. The L.A. Guild of Puppetry presents PUPPETZILLA Puppet Festival Slam for fun, edgy, subversive live puppet madness for adults. A little vaudeville, a bit of burlesque, and a dash of performance art – Puppet Slams cover the whole spectrum of puppetry styles. Rough and tumble works-in-progress or polished gems of art, you’ll see it all at a Puppet Slam! Puppetzilla Puppet Slam is made possible in part by a grant from the Puppet Slam Network. Break out the mesh crop top and leather pants; you’re invited to join a rock band! Or a pop band, or a funk band, or whatever you want — you get to decide when you take the stage to sing with live karaoke band Casual Encounters. With a catalogue of over 200 songs from Abba to Zeppelin, you’ll be sure to find a favorite song to serenade your adoring fans. And since this is a LA Puppet Fest celebration, we’ll have monitors set up, so your furry friend can release his inner Jagger and rock his rods off. Drinks, music, and puppets — this event is sure to go platinum! This two-day exhibition provides a glimpse into the creative process of Mr. Baker. Curated by Nancy Larrew, archival drawings, photographs and intricate marionettes will be on display. Los Angeles based puppeteer and magic maker, Bob Baker, has been delighting children and adults for more than 75 years. Both a visual artist and performer, Mr. Baker, who recently turned 90, has over 3000 marionettes that he has created and entertained with at the Bob Baker Marionette Theater located in downtown LA. Giant and tiny puppetry and live music for all ages including “Hue- the suitcase show” is a boy’s color filled search to find a place where he belongs; songs of Cu~nao explore the journey of history, loss and search for new place, and “The Nomad” features episodes from the life of Dominique Moody who creates new pieces and places from the shards of the past. Shadow puppets, toy theater, a giant puppet or two, and storytelling combined with live music to bring these tales to life, courtesy of A One Grain of Sand Puppet Production. – Shadow puppets are an integral part of rituals and arts all over the world, but not so prevalent in Western culture. Come join theater artist Leslie K. Gray for a hands on workshop that explores the techniques of shadow puppetry, ancient and modern. Create your own shadow puppet presentations using light to create images from reflected darkness! This two-hour workshop is designed to be an intensive for ages 10 and up. If you are able to bring a pair of scissors, a pencil, ordinary sheets of paper (office recycled is fine), and any items you think might cast interesting shadows, you will be one step ahead in creating your own shadow puppet show! Love puppets but having a hard time coming up with new ideas? Love sketch comedy but not really sure how its done? Need help finding the ‘funny’ in your work, or just need some motivation to get some writing done? Well this is the workshop for YOU! These sketch writing techniques apply to ALL writing, whether it’s a feature length script or writing a monologue to start your show. The idea is, better writing gives you better puppetry. So bring a pen, paper, and get ready take the next step toward being a better writer. We’ll examine sketch formats, discuss how to play to your puppetry strengths, and learn how to develop ideas more efficiently. Young puppetry professionals share their perspective about where the art form is going and what they are doing to help it advance their way. The show opens with a preview of 206 – The Church of Bones written and created by Sean T. Cawelti and Morgan Rebane. An original multidisciplinary puppet and media performance exploring the relationship between death and consumerism based on true events spanning a 700 year history at a single church in the Czech Republic. Following that are three pieces in the Minimalist style. Each one tells a different story with a single object. The goal of this limitation is to foster a high degree of creative thinking while at the same time unearthing the emotional potential of the most common of objects. The thoughts and imagination of the audience are directed towards the formation of new associations for everyday objects and materials. It is these associations that give birth to the fun and entirely original puppetry images typical of a Minimalist Puppetry show. A MUST see. VIP tickets include priority seating and meet and greet with the cast. Join the Skirball for its third annual celebration of the art of puppetry, featuring interactive puppet performances, shadow puppetry, live music, art making, spectacular strolling puppets, an interactive display from the Los Angles Guild of Puppetry, and more. This campus-wide, daylong festival brings together some of Southern California’s most talented puppeteers and artists, working in a range of cultural and artistic styles. A day of imaginative storytelling and innovation sure to amaze visitors ages 2 to 102!